Miller’s Grand Events is known for its great customer service and long-lasting relationships with our clients. Whether you’re planning a catered affair or corporate event, a wedding reception, fund raiser or a graduation party, you’ve come to the right place. We strive to make event planning as convenient and hassle free as possible. In addition to offering a wonderful selection of elegant linens, decorative food service items and party rental equipment, we also have a professional staff of wedding day coordinators, event design specialists and on-site professional consultants to help ignite your imagination and give you the specialized attention you deserve. We can offer you a total event package from one convenient source. If you would like a general quote to assist in planning your budget, please call us for a free phone consultation at 251-625-4910 or email us at sales@millersgrandevents.com. 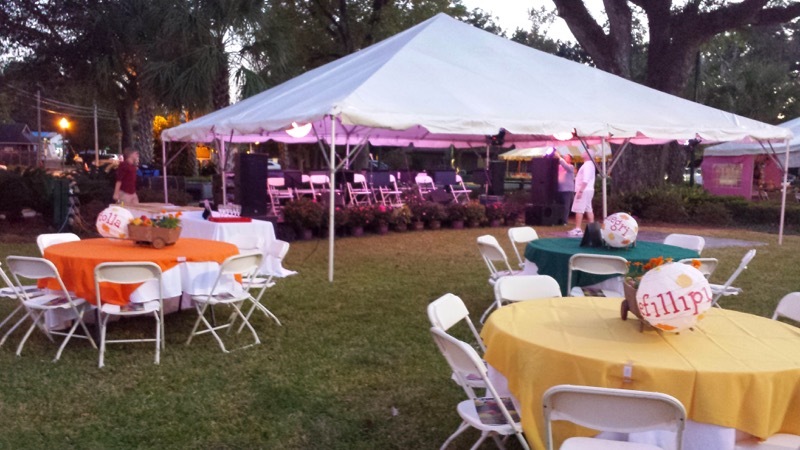 Call us for your next tent rental or wedding rental needs!